Front Range Contemporary Quilters has an active and vibrant exhibitions program showcasing member’s art. We hold at least one exhibition per year in local and regional art spaces, from museums and art centers to public spaces such as hospitals and libraries. All our exhibitions are juried by arts professionals from outside Front Range Contemporary Quilters. Often themed, the exhibitions have served to bring awareness of the art quilt to a wide audience. Please join this fun, lively artistic group of 250+ members. Our monthly meetings feature international, national or local speakers. Only members are eligible to participate in our dynamic workshops and excellent juried exhibitions. Membership dues are $35 a year and membership runs per calendar year. 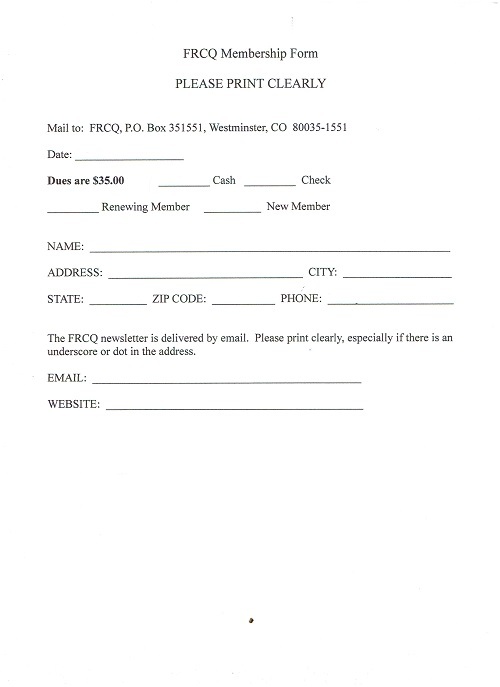 Membership in FRCQ includes all meetings, a high-quality monthly online newsletter, and eligibility to register for workshops. Visitors are welcome to the monthly meetings for a $10.00 fee. To learn more about becoming a member, CONTACT US.. Dates: Every third Monday, January through November. Time: Social time starts at 6:30. The meeting is from 7-9.